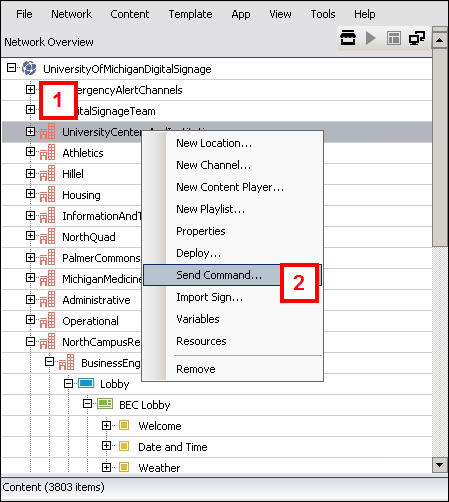 The Network Monitor can be used to take a screenshot of the content that is currently scheduled on digital signs. Note The Network Monitor does not indicate whether the physical display (monitor/television) is powered on and that the proper source is selected to display. 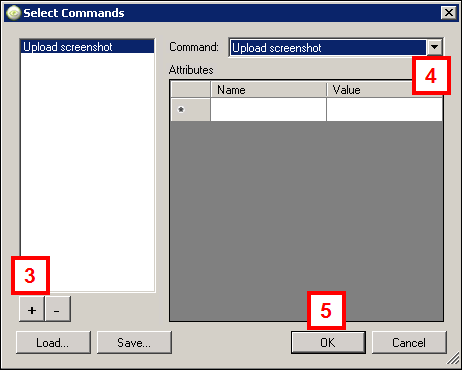 Select Upload Screenshot from the Command drop-down list. Scroll down and check the Screenshot box. Note Screenshots for applicable signs display.